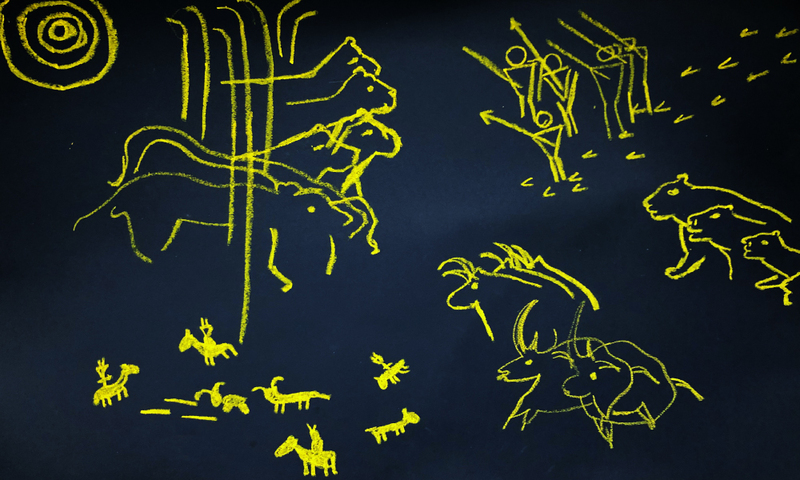 In Cave of Forgotten Dreams, the great filmmaker Werner Herzog explores Chauvet, which contains some of the most absorbing cave paintings yet discovered. They also appear to be some of the oldest, dated to 32,000 years before present. Herzog’s camera pans slowly across Chauvet’s bulbous tan walls while his crew moves handheld lights to make the many bumps and angles do a sort of shadow play. The lions, bison, horses, and rhinos outlined in black seem to flex and shift. They nuzzle, sniff, or maybe battle each other. At one point in a voiceover, Herzog says, “The strongest hint of something spiritual, some religious ceremony in the cave, is this bear skull. It has been placed dead center on the rock resembling an altar. The staging seems deliberate. The skull faces the entrance of the cave, and around it fragments of charcoal were found, potentially used as incense.” Amid the flickering beauty in this scene, that monologue got me wondering: How does he know this was a religious situation? Paul X. Rutz is an artist and freelance writer. His exhibitions include solo shows at Ford Gallery, the Oregon Military Museum, and a forthcoming residency at Purdue University, as well as group shows at Mark Woolley Gallery and the Smithsonian Institution. A former reporter for the Pentagon’s Press Service, he has contributed to HuffPost, Modern Fiction Studies, and Cincinnati Review, among others, and he is a feature writer for Military History and Vietnam magazines.